TACOMA, Wash.--(BUSINESS WIRE)-- TrueBlue (NYSE: TBI) today announced that Kristi Savacool has been appointed to the Company’s Board of Directors, effective immediately. Savacool, 58, a proven leader in the professional services and technology industries, served as chief executive officer of Aon Hewitt, the global human resources solutions business of Aon plc., until her retirement in January 2018. She was responsible for setting the firm’s business and solution strategies and overseeing its global operations, as well as sponsoring relationships with its largest clients, including a substantial proportion of the Fortune 100. Among her extensive M&A experience, she played a key role in the sale of Aon Hewitt’s RPO business to TrueBlue in 2016. 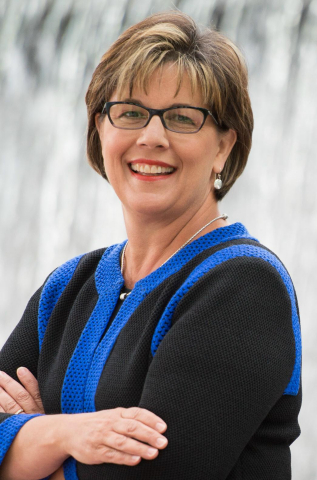 Prior to joining Aon, Savacool also had a lengthy and distinguished career at The Boeing Company, where she held several senior executive management positions in the areas of technology, operations, and shared services, spanning commercial and federal business sectors. Savacool has served on several boards and executive organizations over her career. She is a Trustee for DePaul University and until recently, served on the board of the Midtown Educational Foundation, Chicago, IL and the Board of Court Appointed Special Advocates (CASA) of Lake County, Illinois. She also was an executive member of the Center for Corporate Innovation (CCI) Fortune 1000 health care CEO roundtable. Kristi holds a Master of Science degree in industrial management from Lille University. Learn more about TrueBlue’s board of directors and executive officers here.